simply brands Archives | Rozdeba Brand & Co.
As the world gets more complex and more difficult to navigate consumers are attracted to brands that portray and provide simple solutions. 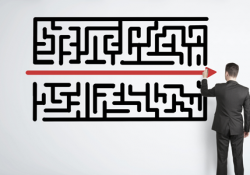 Brand simplification is easier said than done but the financial incentive is significant. Siegel+Gale, a global brand strategy consultants, does an annual survey to monitor global brands simplicity with states that 64% of consumers are willing to pay more for simpler experiences. Their study also concludes that simple brands enjoy increased revenue, stock valuation, brand advocacy and employee engagement. Companies must look at everything their brand projects within the lens of simplicity, from the purchase process to packaging to customer interactions to product usage to communications and marketing. Ideally you want your product precisely where and when the customer most wants it. This is the point where they are willing to pay the most and will be the most loyal. Imagine you are in the hot dessert with the temperature hovering around 100 degrees Fahrenheit. Stinking hot! The sun baking your face and your mouth feels like sandpaper. You are dying for an ice-cold drink. You see a Coke vending machine ahead of you. You can tell it’s working hard to keep its contents cold as water is collecting on the outside of the machine. How much would you pay for that bottle of Coke to quench your thirst? A lot! In 2010, Coca-Cola Company estimated there were more than 6.9 million vending machines in the United States. Why so many? Convenience means more impulse sales and a higher value for the product. That’s why Best Buy, with an online and brick-and-mortar strategy also provides smaller mobile stores and vending machine, to deliver the right products in the right place. There are times I would have paid dearly for a phone charger. Jeff Bezos, CEO of Amazon, always talks of keeping his company in a continuous Day 1 state, both physically and mentally. He says, “To keep the energy and dynamism of Day 1, you have to somehow make high-quality, high-velocity decisions. Easy for start-ups and very challenging for large organizations.” Bezos says to survive in today’s world brands must “embrace powerful trends quickly.” To make this happen organization must be able to make decisions quickly without all the answers. Customers also want brands to react and fulfill promises with speed, like Amazon Prime and 1-Click. 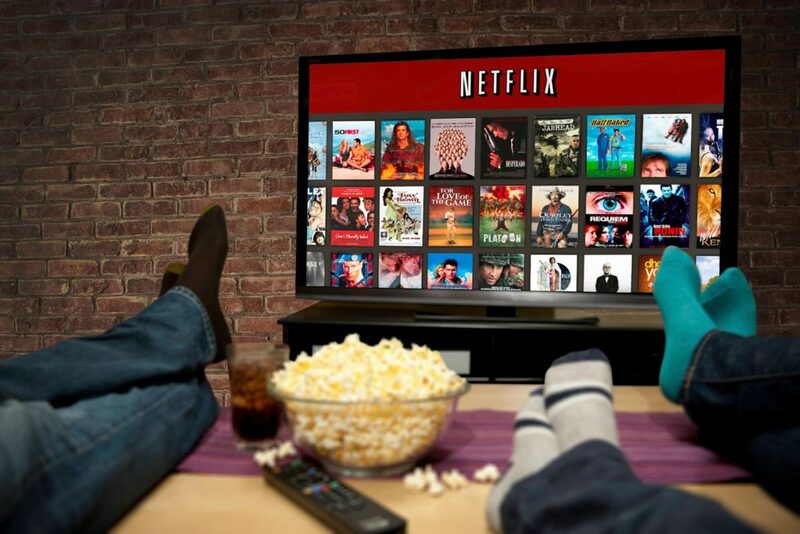 Netflix is also recognised as one of the top simple brands by the Global Brand Simplicity Index, as they provide customers with entertainment anytime, anywhere, instantly. This brand went quickly from DVD movie distribution to streaming. Statista, the statistics portal, states Netflix had 109.25 million streaming subscribers worldwide in the third quarter of 2017. Of these subscribers, 52.77 million were from the United States. In less than a few clicks you can escape from reality to any genre, a task which even a three year old can accomplish. Netflix CEO Reed Hastings says the battle-tested KISS principle holds a ton of power at the Netflix headquarters. He says over the years they have figured out “that people really love simplicity.” The end game is successful brands don’t make customers think they just make them happy. Apple is passionate about creating a simple, focused brand. Tim Cook, CEO of Apple, said, “This is the most focused company I know of… We say no to good ideas every day so that the company can keep its focus on a small number of areas.” Jeremy Miller, author of Sticky Branding says successful simple brands can be described in 10 words or less. Can you describe what makes your brand unique in 10 or less words? No surprise, Google has been in the top 10 ranking for the last eight years Siegel+Gale began publishing its Global Brand Simplicity Index. That means Google needs to satisfactorily answer over 63,000 search queries every second (or 5.5 billion searches per day or 2 trillion searches per year) world-wide. No pressure. “A simple design is like telling a compelling story with as few words as possible” explains Art Director Bianca Magna at Banfield advertising agency. This is true for packaging, website and online applications and advertising. The eco-friendly Ikea has been recognised for its “minimalist” designs in its variety of products and memorable brand advertising. 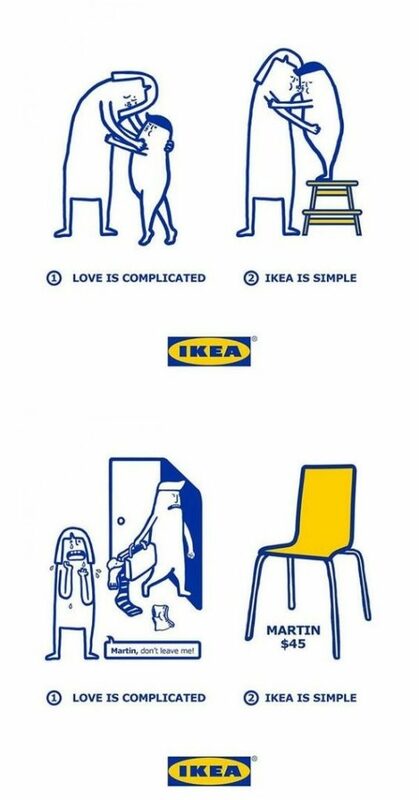 True to its brand Ikea has “simplicity” as one of its key values stating “It is about being ourselves and staying close to reality…and see bureaucracy as our biggest enemy.” However, assembling some of the Ikea furniture might require an engineering degree if you can’t understand the pictorial instructions. Successful and sustainable brands have one common promise – they make life simple. Simple brands are the furthest away from being a simple businesses. In the eyes of the consumer these are beautifully designed, understated brands that come with powerful benefits. These brands take complex, complicated technology, processes and algorithms and turn them into simple customer interfaces that look effortless and simple. Their business operations are state-of-the-art, their employees are focused on what matters and their understanding of their customers is paramount. Achieving simplicity is not simple. But the brands that harness its power stand to reap a multitude of both reputational and financial rewards.